The art of tattooing has been fascinating people for hundreds of years. 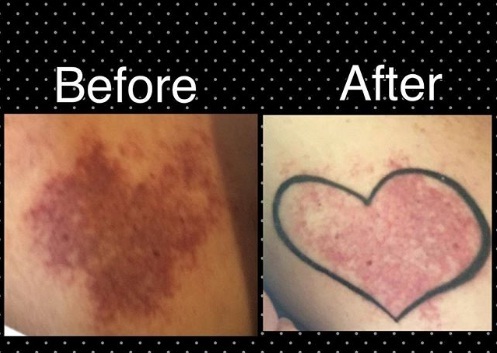 It is not only the perfect way to express yourself through skin, but is also a great opportunity for covering your natural birthmarks or making them cuter. There are Cookie Monsters, PacMan, and even Toy Story characters down below. Let's find out what else! 25. 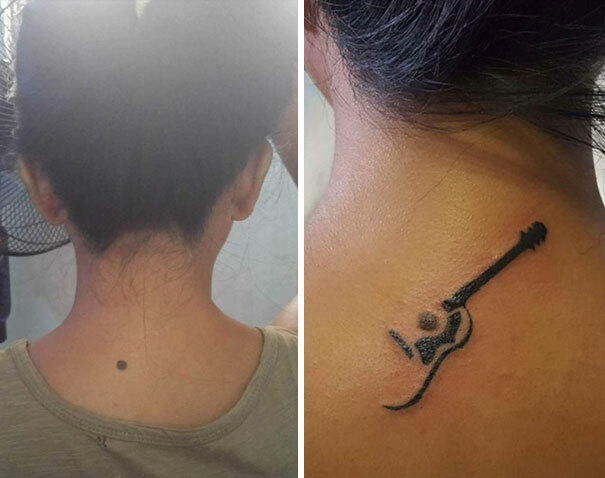 Some people hate their birthmarks, but this girl saw something else in hers: the chance for art and music. You have to find the wonder in everything. 24. 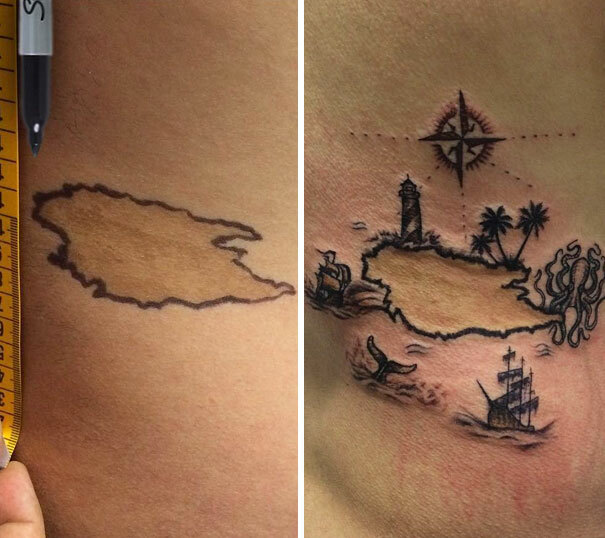 There are those that say that a body is a like treasure map, and maybe that was the inspiration for this tattoo. It's pretty cool what people can see in random figures. 23. 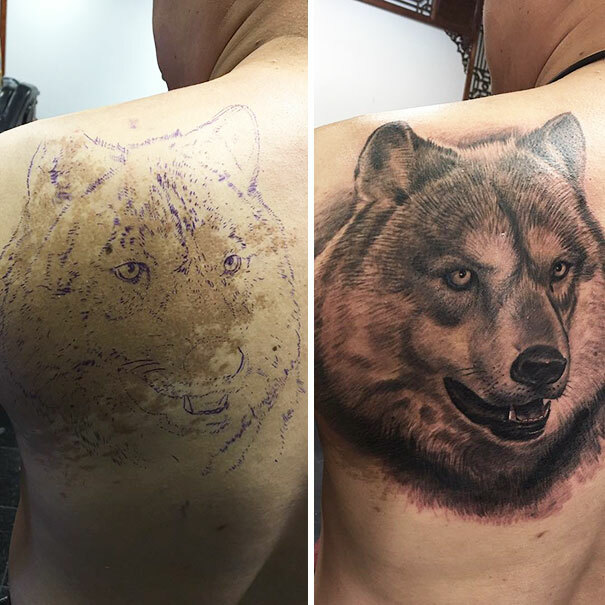 This man had a huge birthmark in his back, but it was used as the shadow for this amazingly realistic depiction of a wolf. Incredible work! 22. Here is one appearance of the cool, vintage game Pacman. 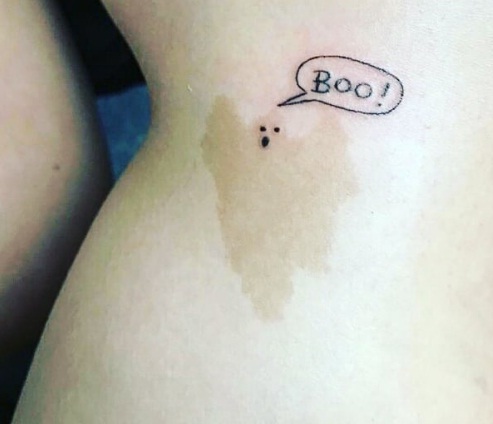 It does not cover that mole, but it gives it a wonderful twist that is probably a cool conversation topic. 21. This one is very similar to the one with the wolf. 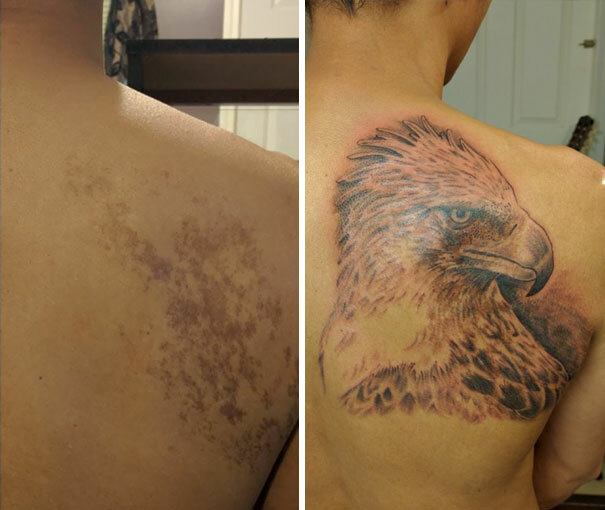 The birthmark gives it the perfect shading and tones for the amazing eagle tattoo. 20. This one is less seriously and a lot more fun. Mr. 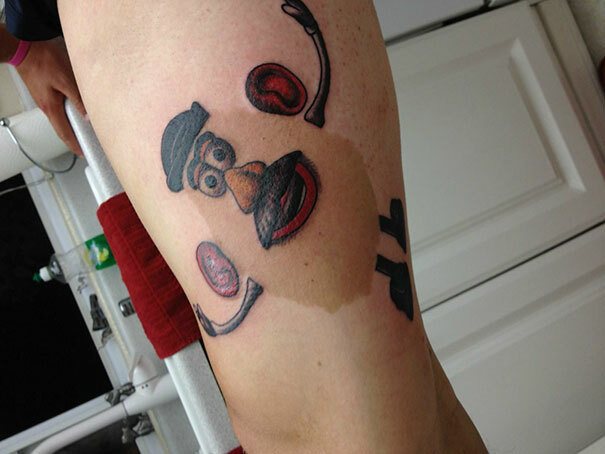 Potato Head from 'Toy Story' makes a hilarious appearance on this person's leg. That is one big birthmark. 19. 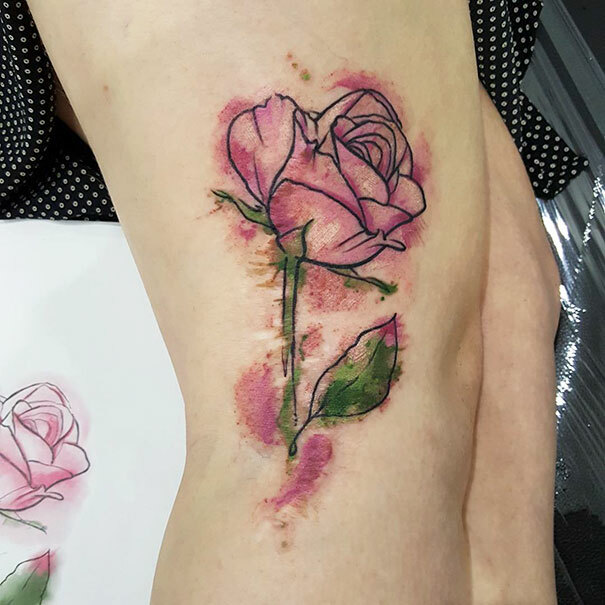 Now this might be the most beautiful rose we have ever seen in a tattoo. While you can tell there was a birthmark there at one point, it does not detract from the beauty of the art. 18. This is another funny entry in this list. 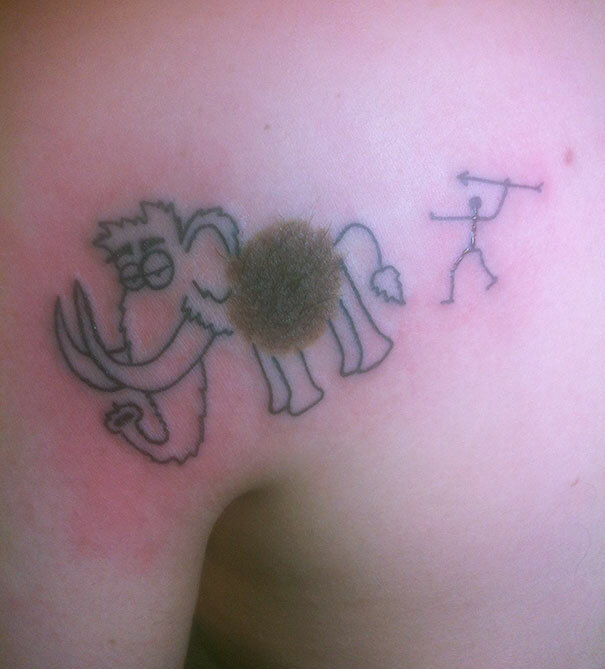 The mole is the body of a wooly mammoth with a hunter behind it. The animal does not look afraid at all. 17. This is one appearance of the Cookie Monster, which is incredibly realistic. 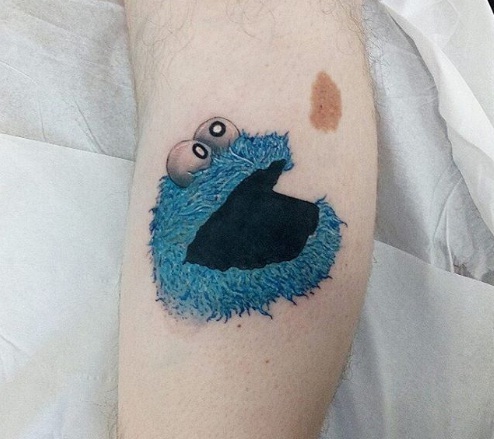 The birthmark even look too much like a cookie. We love it! 16. This might be a bit too aggressive, but it still pretty cool. 15. 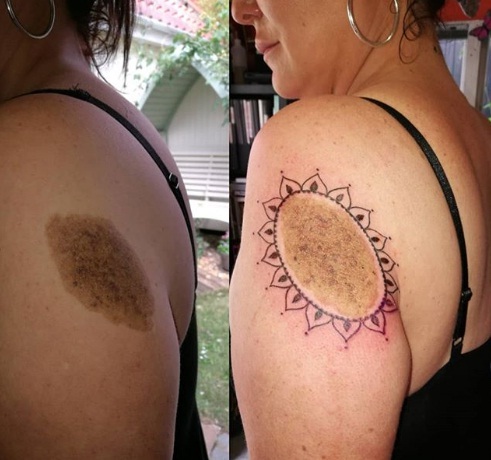 This is a wonderful interpretation of the birthmark. A beautiful turtle and the mole was used as the coloring for its shell. Creativity is all that matters. 14. 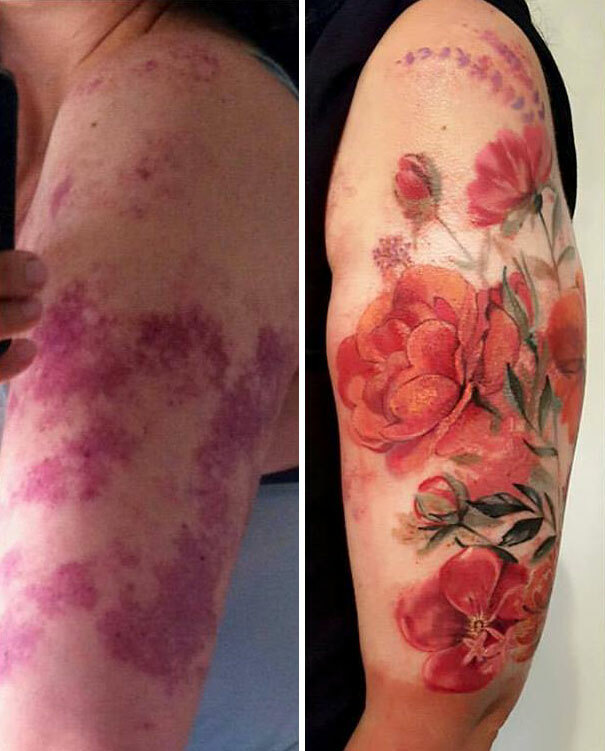 Some of these natural marks already look like flowers, and so, the following tattoo is beautiful. We have to congratulate the artist on such gorgeousness. 13. This is another cool map that actually depicts this person's journey. From his birth in 1984 to his travels. It's beautiful. 12. 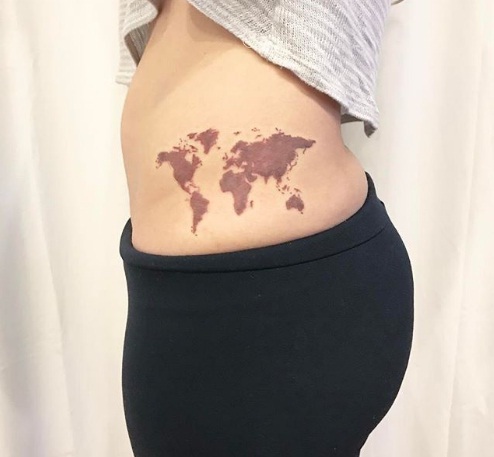 It must have been very tricky to make this particular tattoo because the birthmark seems so thick. However, the result was definitely worth it. 11. This is very minimalistic version, but it still looks like the artist designed it that way. As if pink was used to color the tiny heart, which is what makes it more awesome. 10. This is another Mr. Potato Head or a similar version without a face. It is still very creative. Those that love cartoons will probably like it! 9. 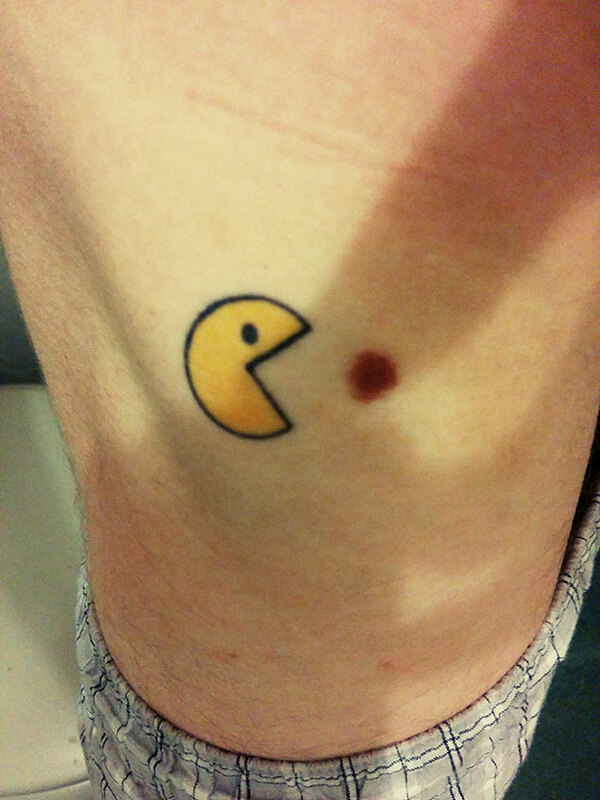 This birthmark is not very visible, but the final result is pretty cool. 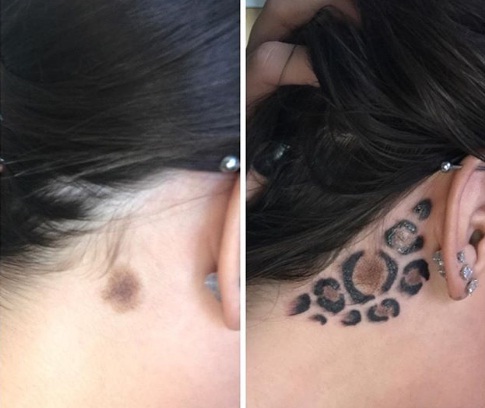 This girl looks like some sort of shape-shifter, and we love her idea. 8. 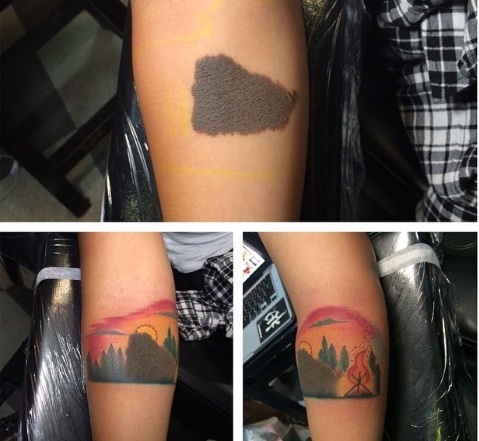 This is an awesome cover-up, and we wonder how she came up with such idea. 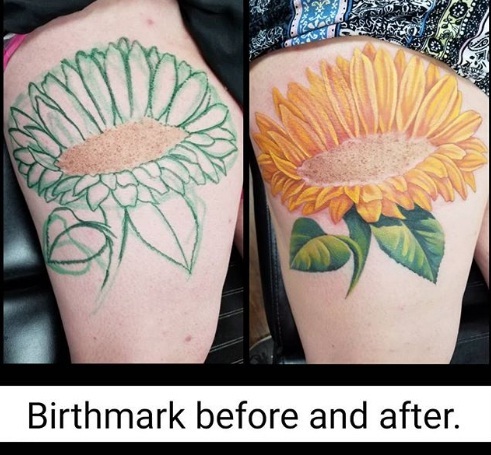 The birthmark is pretty perfect for a sunflower, and the artist's work is impeccable. 7. Similarly to the sunflower, the birthmark was used in the center for this design. It is girly and classy at the same time so that the lady won't be self-conscious anymore. 6. This is another hilarious take on these cover-ups. It is incredible that the mark looked exactly like a cartoon ghost already. It only needed a face. 5. 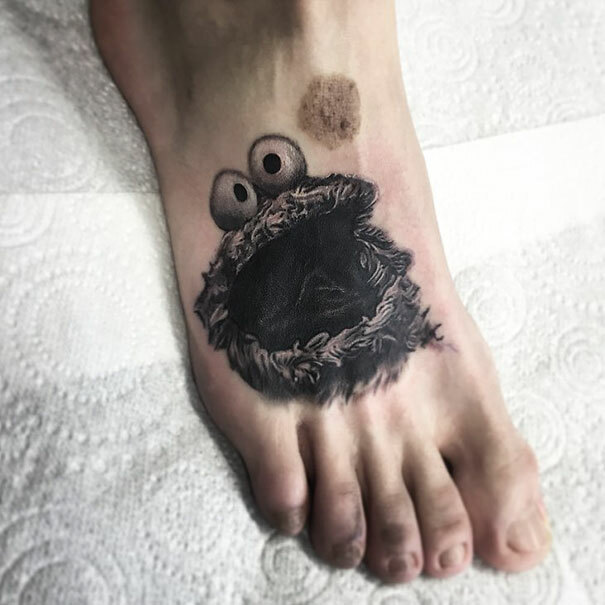 This is another Cookie Monster!The artwork is still amazing. This might be our favorite idea on the list. 4. This is a gorgeous and creative twist. 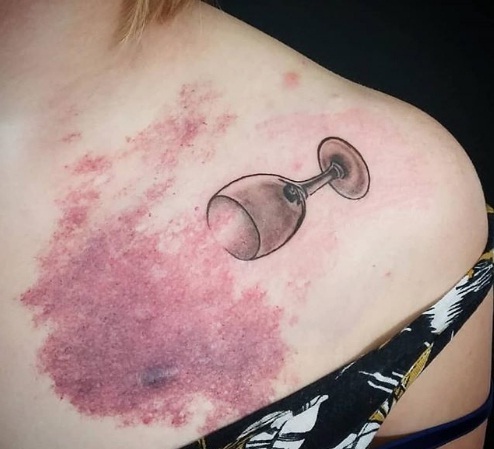 This woman did not cover her birthmark but added to it to make it seem like spilled wine. 3. 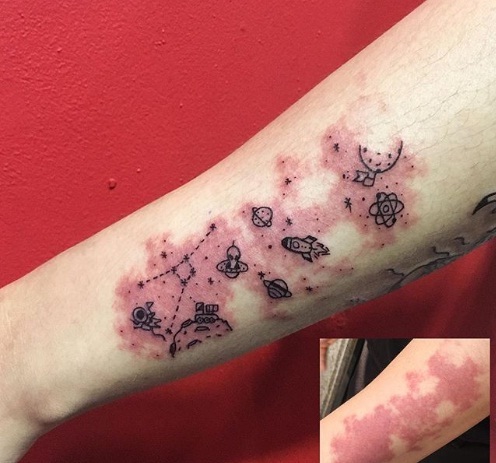 Similarly to the versions with a map, this tattoo takes another twist, making it an exploration of the stars. It's playful and cute. 2. 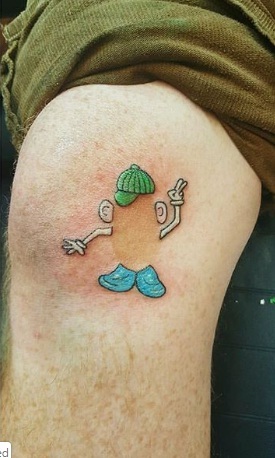 It is hard to tell where the birthmark ends and the tattoo begins, which is probably the point. Either way, it is unbelievable that this girl has the world on her side. 1. 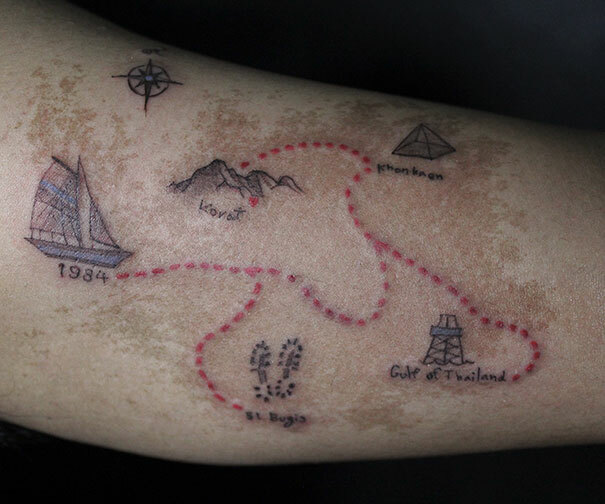 This man's birthmark tells a story much like a road map, and he decided to enhance tiny landmarks with tattoos. We cannot help but love it. 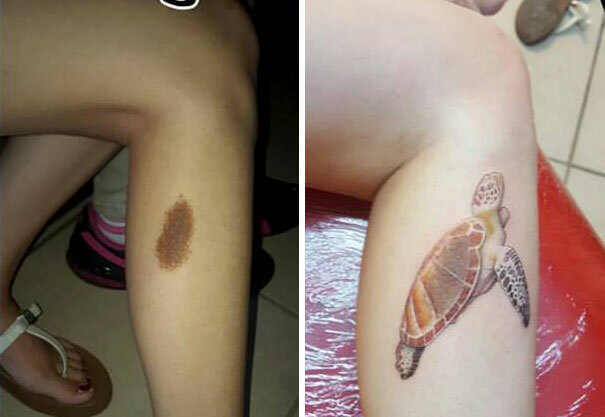 Beauty comes in all shapes and colors, and we think that birthmarks are to be celebrated as these people did with tattoos. Let us know which one was your favorite. If you liked this article, share it with your friends that have similar markings. See you next time! When it comes to the awesome fighting Avengers team, we cannot deny that they have won our hearts. If you're looking for a good giggle and a cheer-me-upper, you've come to the right place. We've put together some hilarious Avenger memes for you, but be warned - you may suffer from lots of tummy cramps from all the laughter!